Information about stories in the “Resolving a Misunderstanding” universe. After a rather long hiatus, there is another chapter of Charming the Scottish Garden up on the Petulant Poetess, and we’re back with Siofre and Johannes again. Summary: Siofre brings Johannes to a high point on the estate, and they spend time together speaking of Albus & Minerva, and of Siofre’s plan for Drusus Prince. Johannes resolves to be persistent. Not DH-compliant/DH-irrelevant. A RaMverse fic. There is a more recent blog post with links to ebook fanfic here. I’ve uploaded “The Sorting of Suzie Sefton” in Kindle (mobi) format, bringing the number of fics available as ebooks to eight. All of these mobi-formatted stories are easily converted to ePub using calibre. They are all available for download from the Our Mirror of Erised Yahoo! Group Files area in the “MMADfan’s Fanfic” folder (subfolder “RaMverse Fics in MOBI format”). It’s easy to sign-up for the group and have access to these and many other HP fanfics in other formats (rtf, doc, etc.). You can find information about these stories in this list of all my MMADfan fanfics, as well as links to them on the Petulant Poetess and elsewhere. Both Death’s Dominion and “Enter, Peacetime” are now available in mobi format for Kindle and Kindle apps. They are easily converted to EPUB and other formats using the calibre app. Download them from the Files area of the Our Mirror of Erised Yahoo Group. For more information about Death’s Dominion, you can read its description here — but beware that there are spoilers in the chapter summaries. You may read Death’s Dominion online over at the Petulant Poetess. 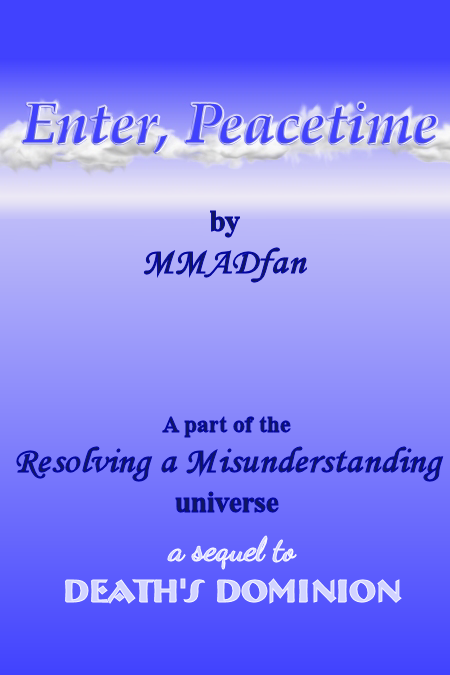 “Enter, Peacetime” is available here as well as on the Petulant Poetess. It’s a one-shot with “missing scenes” from the end of Death’s Dominion and contains spoilers for that story. 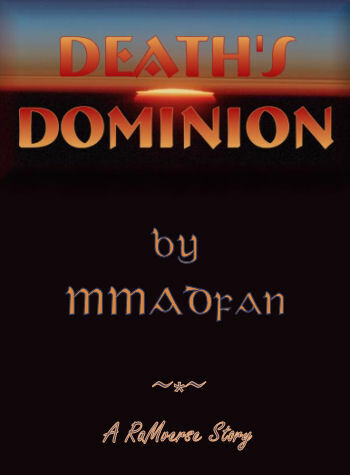 Both ebooks are well formatted and Death’s Dominion has a full table of contents, as well as an appendix that includes chapter summaries and other information.